The Court House Exchange can meet your banquet needs. In Independence, Missouri, The Court House Exchange has a banquet room where we can serve your entourage in a casual setting designed to get things done. The banquet room can accommodate up to 50 guests for your next birthday party or a meeting. Click here for information about The Court House Exchange banquet services, menu selection, amenities, and key information that will help you plan your occasion. Our chef can assist with planning your menu or recommend options that will suit your taste and budget. If you don't see exactly what you are looking for at Court House Exchange, we have many options on the Square that we would be happy to share with you. Email us at courthouseexchangeind@gmail.com for more information. 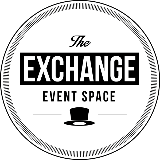 If you would like more information on Banquets at Court House Exchange, please enter your information in this contact form and our Events Coordinator will contact you directly.